What a delight it is to read stories of historical figures passed over by history probably because they were women. 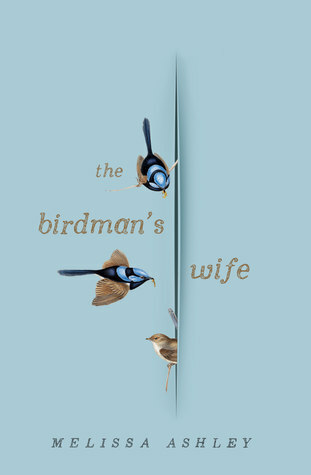 An even greater delight when they are told well, as is very much the case with Melissa Ashley’s The Birdman’s Wife. Elizabeth Gould was indeed a remarkable woman. “Inspired by a letter found tucked inside her famous husband’s papers, The Birdman’s Wife imagines the fascinating inner life of Elizabeth Gould, who was so much more than just the woman behind the man. Elizabeth was a woman ahead of her time, juggling the demands of her artistic life with her roles as wife, lover and helpmate to a passionate and demanding genius, and as a devoted mother who gave birth to eight children. In a society obsessed with natural history and the discovery of new species, the birdman’s wife was at its glittering epicentre. Her artistry breathed life into hundreds of exotic finds, from her husband’s celebrated collections to Charles Darwin’s famous Galapagos finches. Fired by Darwin’s discoveries, in 1838 Elizabeth defied convention by joining John on a trailblazing expedition to the untamed wilderness of Van Diemen’s Land and New South Wales to collect and illustrate Australia’s ‘curious’ birdlife. It is only the hardboiled cynic who won’t fall into this story as though in love, won’t be seduced by the intimate narrative style. Here is a story, articulated in a voice commensurate with the era, of a life acutely observed, the sort of story that seems to flow from the pen, belying the many hours and months if not years of research that went into it. It isn’t easy to breathe life into history in fictionalised form. Too often the reader will sense contrivance, or stumble through an unconvincing scene. It’s a fine balance between fact and narration every step of the way and Ashley pulls it off with aplomb. This is a work imbued with optimism and hope. There is an almost playful romantic quality at first, as a flirtation between Elizabeth and her soon to be husband evolves, yet the story soon departs from romance, as the practicalities and the tragedies of her life unfold, along with what can only be described her life’s work. The Birdman’s Wife is a story of passion and depth of thought told with an empathy so deep the reader may look up from time to time to find herself in a room filled with specimens, the floor littered with sketches, and Elizabeth herself seated nearby. Many thanks to NetGalley and Affirm Press for my review copy. I’ve just pre-ordered it! Can’t wait to read it.